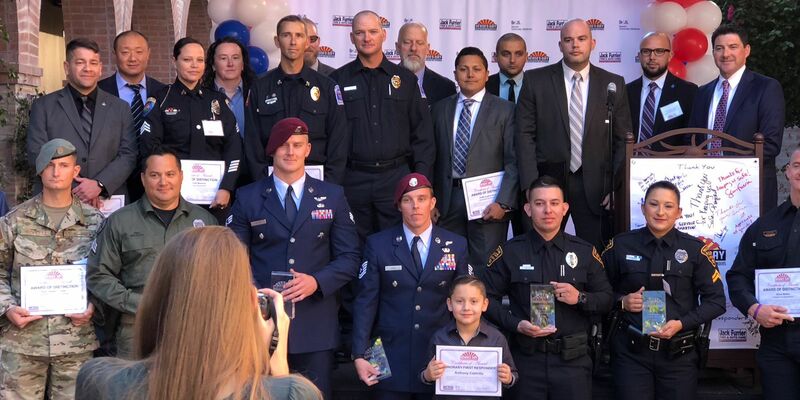 TUCSON, AZ (Tucson News Now) - Several first responders were honored during the 10th annual Heroes Day award and celebration event on Thursday, Nov. 8. The purpose of Heroes Day is to thank first responders for keeping our community safe and helping our citizens in times of crisis. Groups recognized include: law enforcement, fire fighters, EMTs, border patrol, U.S. military, U.S. Forest Service, etc. The Heroes Day nominees have all gone above and beyond the call of duty. Tucson Police Department: LPO Erika Munoz and officer Marcos Ramirez. Eloy Police Department: Sgt. Violet Maestas. U.S. Marshals Service Arizona: WANTED Violent Offender Task Force. Davis Monthan AFB: Staff Sgt. Joseph L. Collett. Northwest Fire District: Joshua Zent, John Harshbarger, Shane Medlen, Frank Munoz. You can read more about their stories HERE. Teacher Appreciation Week is a week to celebrate teachers and the contributions they make to education and society. Easter events, construction expected to cause traffic delays.